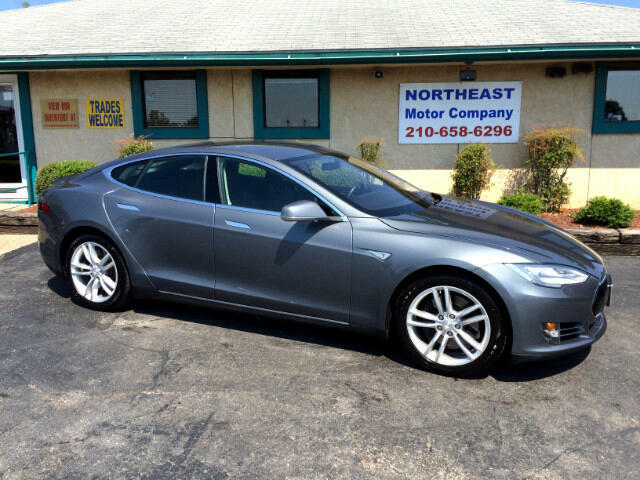 2013 Tesla Model S P85 LOADED!!! Our Pristine 2013 Tesla Model S P85 is well optioned with the Tech Package, Lighting Group, Sound Studio Premium Audio, Dual Chargers, Supercharger Enabled, Leather Interior with Suede and Red Piping, Navigation, Backup Camera, Satellite Radio, 3G Internet Capability, Heated Seats, Steering Wheel Mounted Audio Controls, Power Telescopic Tilt Steering Wheel, Aluminum Alloy Wheels, Homelink, Power Adjustable Front Seats, Power Windows/Locks/Mirrors, Power Rear Hatch, and MORE!!! We here at Northeast Motor Company are very proficient in Tesla Motor Company's vehicle lineup as well as the electric vehicle movement. Have confidence when dealing with us for your Tesla purchase.